Riyadh 2nd January 2013, Invited by students of the International Economics, HRH Prince Saud bin Khaled addressed a class of over 25 seniors about Investing in Saudi Arabia. The Prince is uniquely qualified to address this topic who heads the Investment Affairs department, which is responsible for managing the investment environment and competitiveness agenda of Saudi Arabia and also serves as vice chairman of the Saudi’s joint economic commissions with Switzerland, Russia, Uzbekistan, Kazakhstan, Greece, Azerbaijan, and Senegal. He is also the President of the National Competitiveness Center and a Board Member of the Saudi Industrial Property. 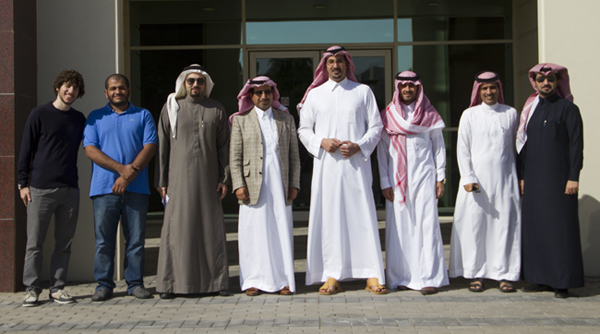 The Prince was accompanied by several other staff members from SAGIA including, Dr. Aaed Alotaibi and Mr. Saud Madani. 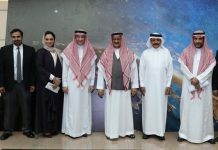 Several students expressed interest in the Saudi Arabian General Investment Authority and the National Competitiveness Center. 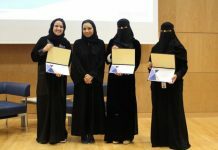 “We see opportunities to learn more about preparing for the future and making Saudi Arabia more attractive for investment and economic growth” noted a student majoring in Project Management.